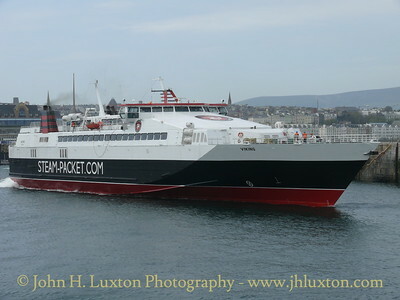 SEA EXPRESS 1 (ex SEACAT ISLE OF MAN) now SNAEFELL whilst operating on the Irish Sea Express service between Liverpool and Dublin. 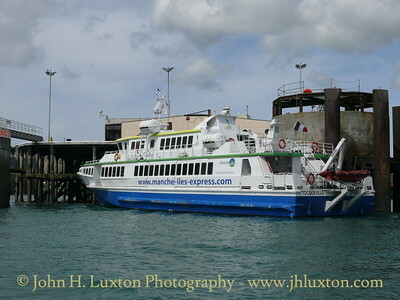 Photograph taken during berthing trials on April 24, 2005 prior to the commencement of service. 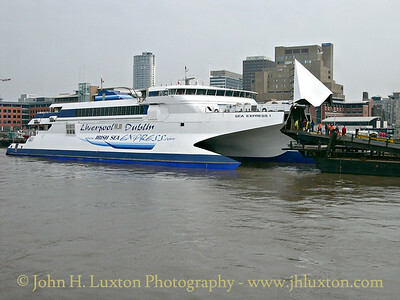 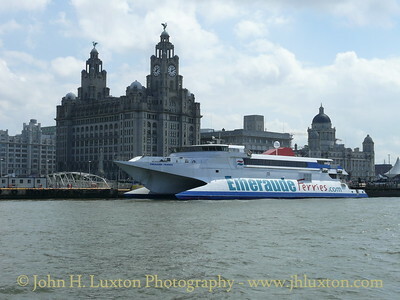 EMERAUDE FRANCE (ex HOVERSPEED FRANCE) at Liverpool Landing Stage May 31, 2007. 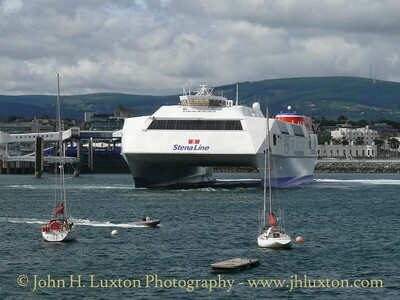 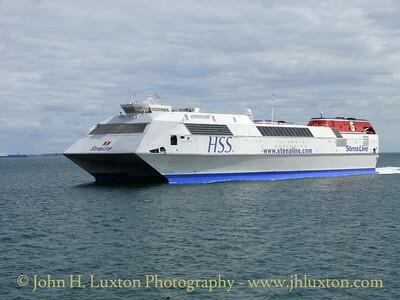 She was on charter to cover for the accident damaged SEA EXPRESS I.
HSS STENA EXPLORER arriving at Dun Laoghaire on June 23, 2007. 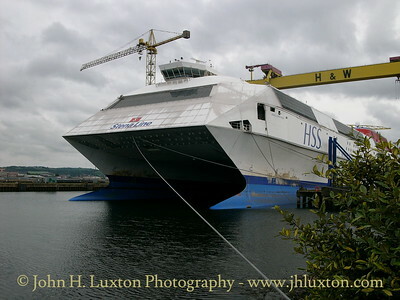 HSS STENA DISCOVERY laid up at Belfast on June 23, 2007. 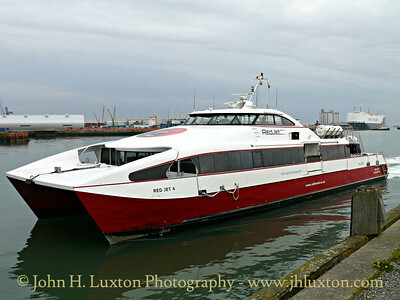 She had been withdrawn from the Harwich - Hoek service the previous winter. 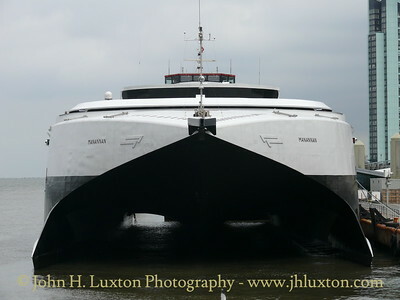 She was sold on Venezuelan interests in autumn 2009. 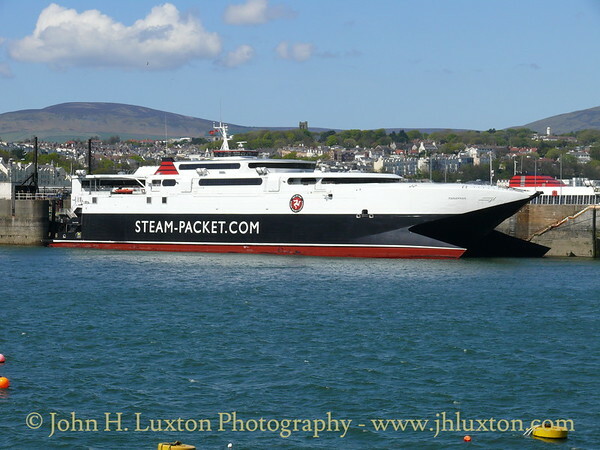 Isle of Man Steam Packet Company VIKING departing from Douglas for Liverpool on May 03, 2008. 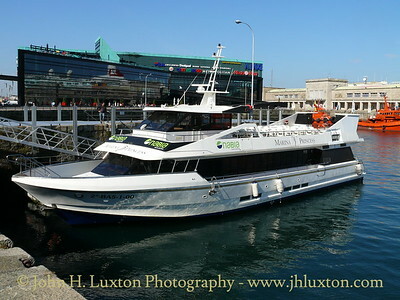 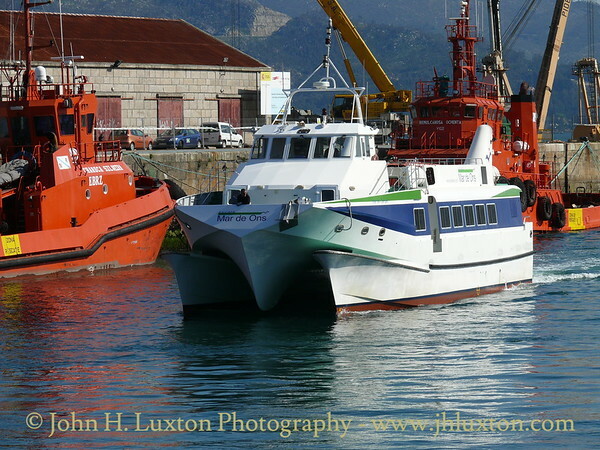 Passenger fast craft MAR DE ONS arrives at Vigo - April 14, 2010.